Untreated hearing loss is a difficult experience for many people, especially musicians and music lovers. A recent study led by Jonathan M. Vaisberg, Ashley T. Martindale, Paula Folkeard, and Cathy Benedict in the Journal of the American Academy of Audiology, took a closer look at the experiences of musicians and hearing loss. These researchers engaged in a qualitative study of the experiences of amateur musicians who have hearing loss and who use hearing aids in musical contexts. It turns out that hearing aids are not only used to hear music more clearly but also to engage in the social process of performance, specifically to understand the conductor better. The study conducted qualitative semi-structured interviews with 12 performers of music in the percussion, wind, reed, brass, and string families. These people were engaged mindfully in the pursuit of musical activities, and they ranged in age from 55 to 83 years of age. Many assume that hearing aids will be employed to assist this type of individual in listening to music once again, and the study does not preclude that possibility. Yet, in interviews with these musicians, another necessity came out: the need to hear the conductor during rehearsals. When their hearing fell short, even with hearing aids in place, they resorted to other sensory apparatus for understanding the conductor’s instructions, including the use of visual cues. The researchers took this study to indicate that a priority should be placed on social engagement in the development of hearing aid technology. Yet, this small sample should not limit resources from developing hearing aids that enhance the music listening and performance experience, as well. With this finding in mind, the importance of hearing loss prevention is even greater, especially for those who play music in amateur or professional settings. Not only would hearing loss be detrimental to the experience of making music, it also might limit these individuals from engaging in a social event that is very important to them: rehearsing music in a group. This social setting might have become a key feature of their lives after years of rehearsal and performance. Preventing hearing loss is even more important for those who rely on musicianship as a creative and social outlet. What can you do to prevent hearing loss before it occurs? Musicians must be careful to limit the noise and decibel level of sound encountering their ears day-to-day. Rehearsals and performances can be incredibly loud for many musicians, particularly those using amplification. Attending loud concerts and festivals can be damaging to the ears, and more and more information is being released about the effects of leisure noise on hearing among young people. Wearing hearing protection at loud events is a good way to begin, and custom-fitted earplugs can keep out the damaging frequencies while maintaining the ability to hear a broad spectrum of sound. It is crucial for musicians to hear the entire range of sound in rehearsals and performances, so high-quality earplugs are a necessary investment for any musician who plans to make music their whole life long. Another preventative measure is to limit the duration and level of headphone use. While recording, mixing, and listening to music, many musicians expose their ears to long durations of sound. The overall volume level is not the only damaging feature of headphones and earbuds; exposure to loud sound for a long time increases the damage. Limit the overall decibel level coming to headphones and earbuds, and also give yourself regular noise breaks to rest your ears. If you are traveling on noisy modes of transportation, it is important to keep an eye on the overall level of your headphones, as well. It is easy to bump up the level of headphones to compete with the noise level of an airplane, train, or even a car. Perhaps the best solution is to invest in high-quality noise-cancelling over-the-ear headphones that will block out the transportation or other noise while allowing a full spectrum of sound frequencies into the ears. 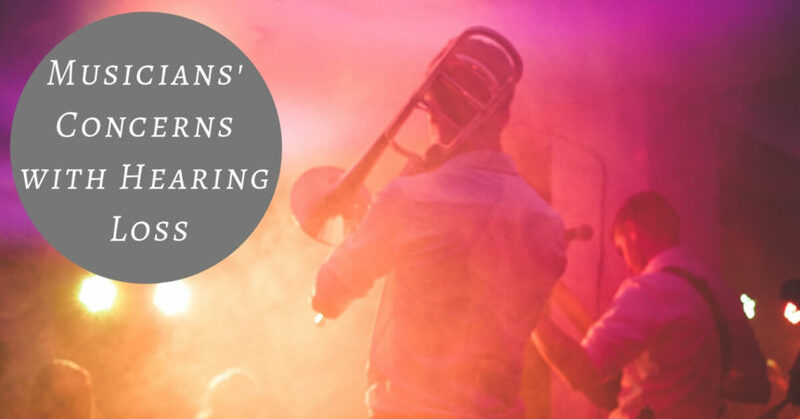 With these practices in place, you may not only be preserving your ability to make and enjoy music into the future but also your ability to socially engage in the many contexts that surround the music-making process. Connecting with the sounds of your life is important to your happiness and overall health and well-being. At Neighborhood Hearing Aid Center, we provide comprehensive hearing tests and hearing aid fittings to help you experience life to the fullest. Contact us today for an appointment!